This is a small plastic box which has a clear lid which flaps open with a hinge at one side. 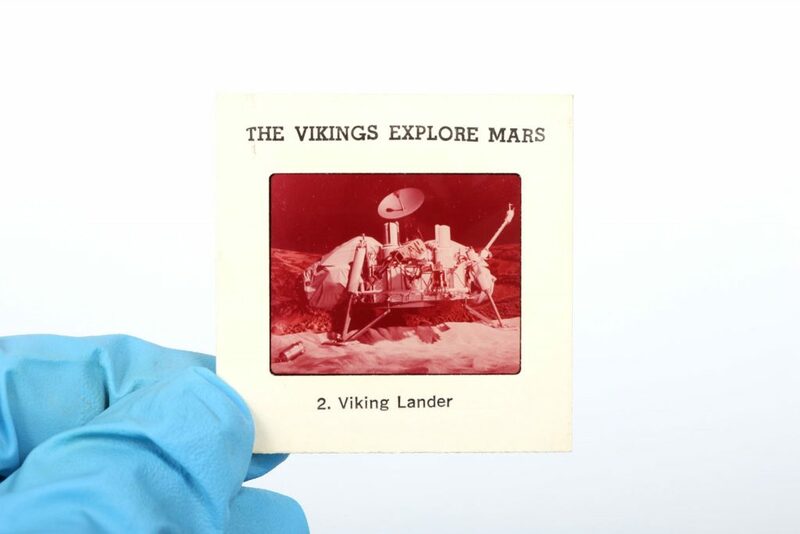 The box contains one cassette tape and a set of forty colour slides, printed on plastic with cardboard surrounds. These rest on a base of black foam. 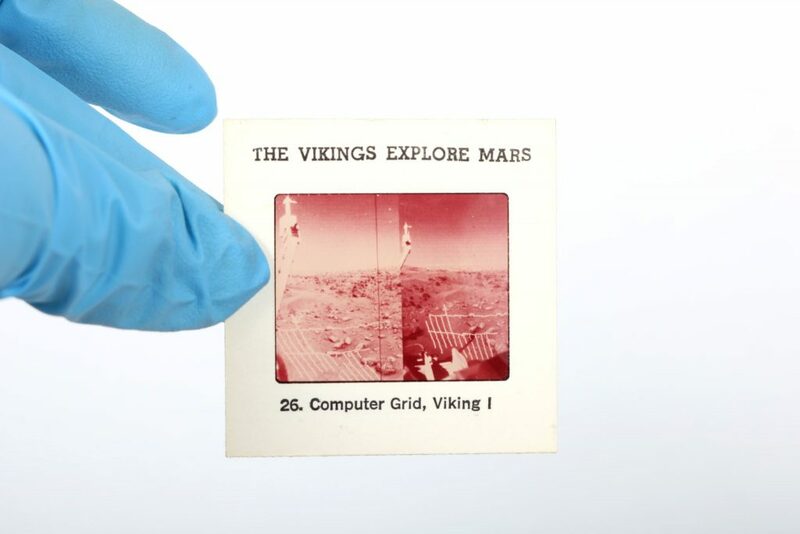 The slides display images of photos and images associated with the Mars Viking landers. This tape is designed for education purposes. 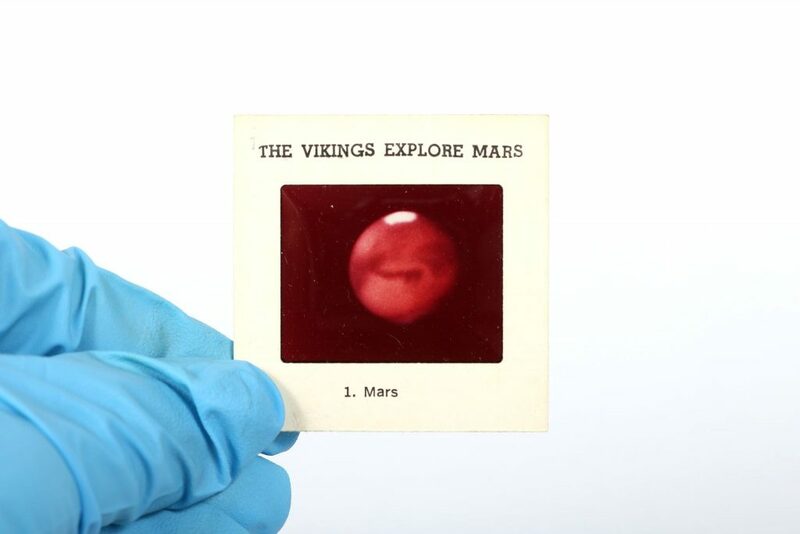 Very Good: The slides are in near perfect condition, although they may have acquired a reddish hue. The paper label on the audio tape has peeled away; on one side it is missing entirely. The box is in good condition, although worn and scratched on the top and the hinge has broken and has been mended with adhesive tape. Other pieces of adhesive tape are attached around the edges. 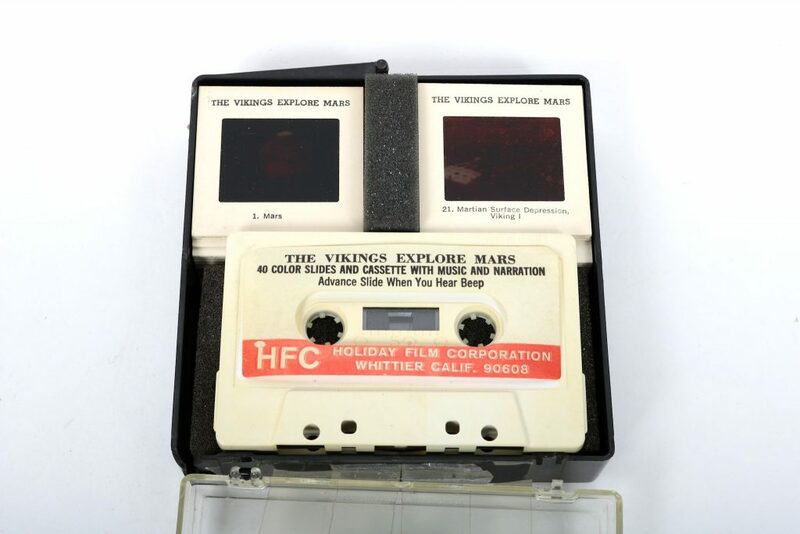 These may have been used in courses at the Department of Astronomy & Astrophysics, or they made been used for educational program at the David Dunlap Observatory. If the latter, they was likely moved from the David Dunlap Observatory in Richmond Hill in 2008, upon the sale of the observatory. It was stored at the Department of Astronomy and Astrophysics until 2017, when it was moved to a new storage location in McLennan Physical Laboratories.